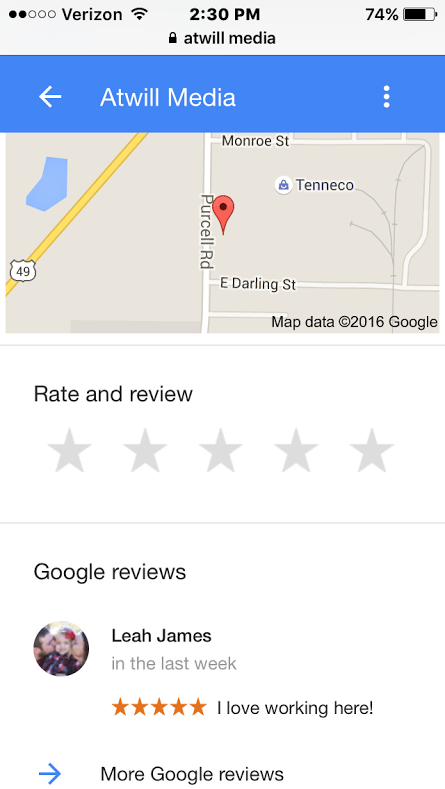 Welcome to your easy-to-use tutorial for leaving a Google Review on a business's Google My Business listing! Follow these simple steps, and you'll be leaving reviews on your favorite businesses in no time! 1. 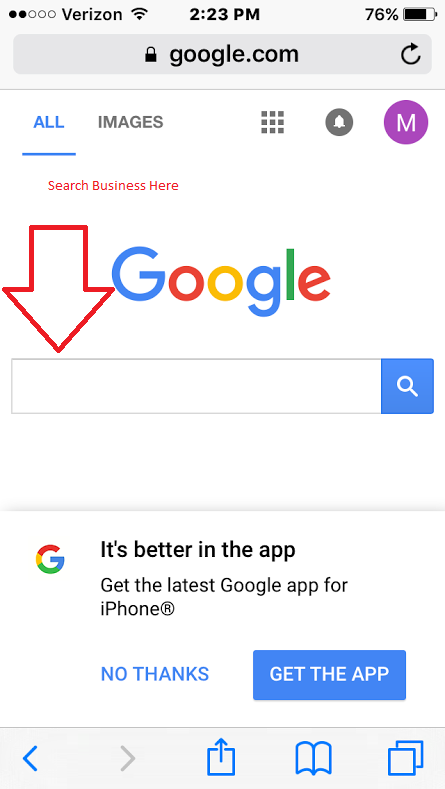 The first step is to search for the name of the business you wish to leave a review for using either your mobile device's web browser, or the Google Search app. 2. Wait for the search results to come up for the business you searched. Usually, this is the first result on the page. 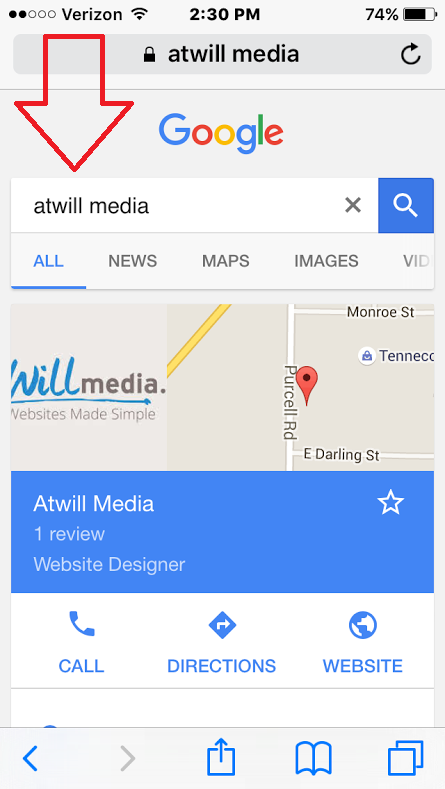 For our example, we searched for Atwill Media. 3. Next, you'll need to scroll down the page a little until you see a blue downward pointing arrow icon. It should say "More About Atwill Media" underneath it. Click on this blue arrow to expand the results. 4. 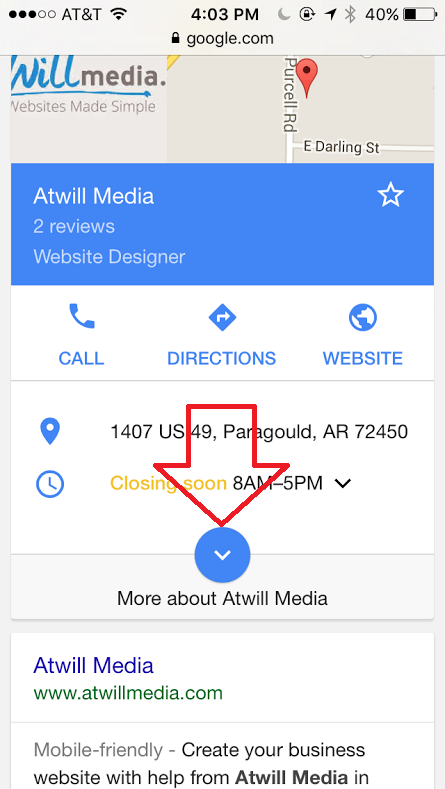 When you expand the results, you'll see an option to leave a review for this business underneath the words "Rate and Review." You can leave a star-rating from 1 to 5 for the business, 1 being the worst, and 5 being the best! You can also leave a comment with your review. 5. After you leave your review and comment, you will see your review published underneath "Google Reviews." You can also browse through the other reviews left by people by clicking on "More Google Reviews." That's it! You've successfully left a Google Review for a business that has setup a Google My Business listing.